Whether you're looking for Mother's Day brunch in Winnipeg that's fancy or family-friendly, we've got five great spots to recommend that will suit different tastes and budgets - and treat mom with a brunch that she doesn't have to cook herself! Cora's is tried and true for brunch - sure to please the whole family and at great prices, too! Sunday brunch at Buccacino's is all you can eat for $14.99 - great deal right in the heart of Osborne Village! Click here to make a resevation. Looking for something upscale? Try the Current restaurant at Inn at the Forks. A special Mother's Day brunch buffet is available from 9am to 3pm - reservations required. 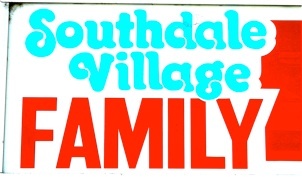 For a family-friendly option that won't break the bank, try the homey Southdale Village Family Restaurant. Check out a recent review that recommends this family-owned, cosy place for Mother's Day. Storm Bistro at the Winnipeg Art Gallery offers a Mother's Day brunch with two sittings available. Enjoy delicious food while enjoying the penthouse view and rooftop sculpture garden. Do you have a favourite brunch location in Winnipeg for Mother's Day? Let our readers know!